I can say with certainty that Venice is one of the most mysterious and fascinating places we have visited. A perfect location for the wedding. But what fascinates us most is not its luxury part, but its mysterious and decadent appearance. Charina and Riesky wedding in Venice has inspired us this story full of mistery and magical memories. We have been kidnapped by all this beauty, the shadows and emotions. A dream that becomes reality and surpasses every imagination, a wedding in Venice as Charina and Riesky had imagined it for years. We stumbled upon Evergreen Film when we started searching for an Italy-based videographer for our elopement in Venice. It was a definite love at first sight when we saw their page, the mood of their videos were truly captivating but we didn’t get around to contacting them until our wedding planner (Amber from Angel Lion Weddings & Events) recommended a few videographers and Evergreen Film was one of them. At that moment we knew that was it – we didn’t need to search any longer! I talked to Luigia via SKYPE and the connection was almost instant, so the first time we met and shot in Venice was 1 day before my elopement day and we both felt really comfortable with Luigia and Giuseppe. 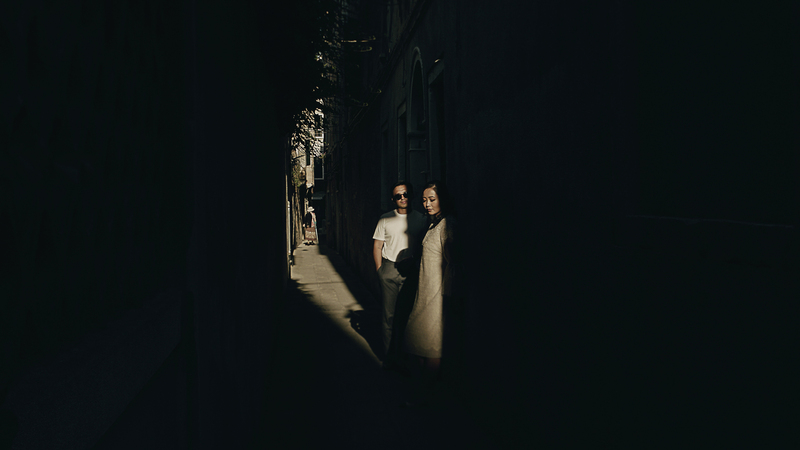 We walked around Venice that afternoon as they shot us – there was no pressure, everything just felt casual like we were just friends walking around exploring the island. And even on our wedding day, I’m so glad for their presence because nothing was staged, everything just went on naturally and somehow they managed to get really beautiful shots out of that whole day. Even by seeing my wedding trailer itself gives me chills and I would recommend them to anyone for their truly great work! Thank you Luigia and Giuseppe for helping us preserve such a beautiful memory from the most important day of our lives!